Panasonic’s industry leading “tough contact” design provides customers with the reliability that is required when developing the latest computer or wearable device. 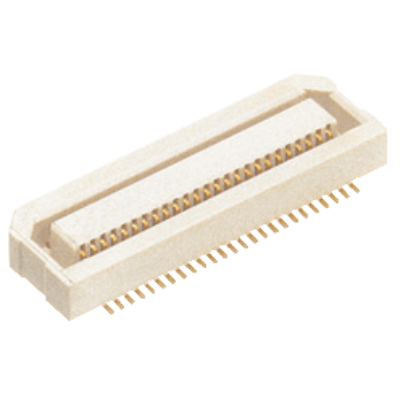 Our Narrow (Fine) Pitch Connectors line-up includes both Board-to-Board and Board-to-FPC options. Backed by our staff of technical engineers, Panasonic offers a full “hands on” solution from designing-in assistance to manufacturing. Discover how Panasonic Narrow Pitch Connectors can elevate your applications.